Are you ready for another edition of late-night musical chairs? 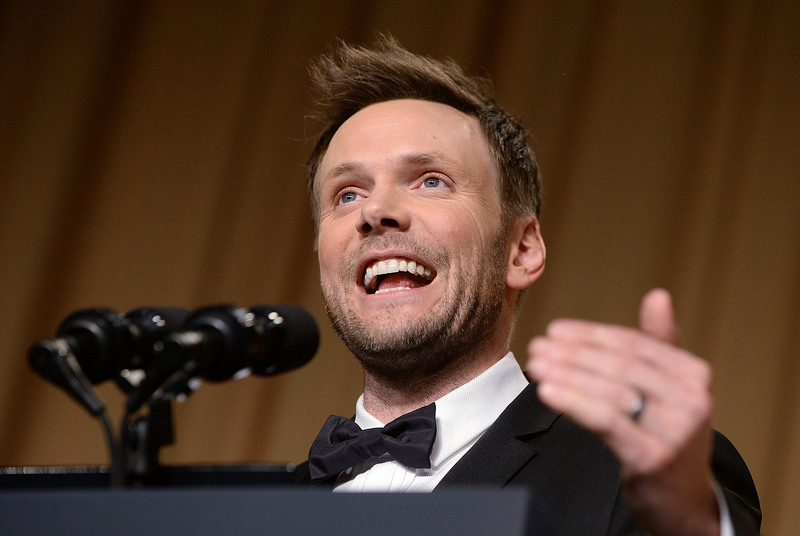 Joel McHale had dinner with CBS' Les Moonves, delivering a swift kick in the gut of our previous theory that those slightly off-color jokes McHale let loose at the White House Correspondent's Dinner could damage his chance at nabbing Craig Ferguson's seat. So what does this McHale and Moonves' hang sesh meeaaaaan??? It could very easily mean that rich people tend to go to meals together. I hear that's a thing that happens. But the fact that Julie Chen tweeted out a pic (below) of her, husband Moonves, and McHale out to dinner seems too well-timed to be coincidence. A while ago, we also had a picture of Chelsea Handler taking a meeting at CBS — though those rumors were slightly quashed when Handler basically said she's too much of a potty mouth for network television. McHale hails from the same network as Handler — he's on E! with The Soup right now — and with Community now officially over, he's got a pretty big opening in his schedule for the next year. Longtime hosting gigs with a big comedy following? Sounds like a pretty solid candidate. You gotta hand it to Julie Chen: There's no way she doesn't know what kind of rumors she's sparking by posting a picture like this.